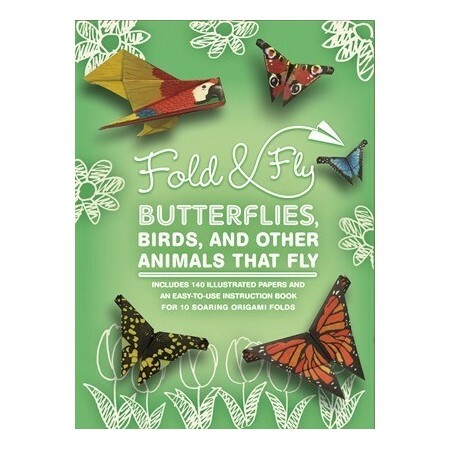 Fold & Fly Butterflies, Birds, and Other Animals that Fly celebrates and explains the miracle of natural flight, while providing readers with easy-to-follow patterns for creating Mother Earth's most amazing winged creatures. Written by Mark Zagaeski. 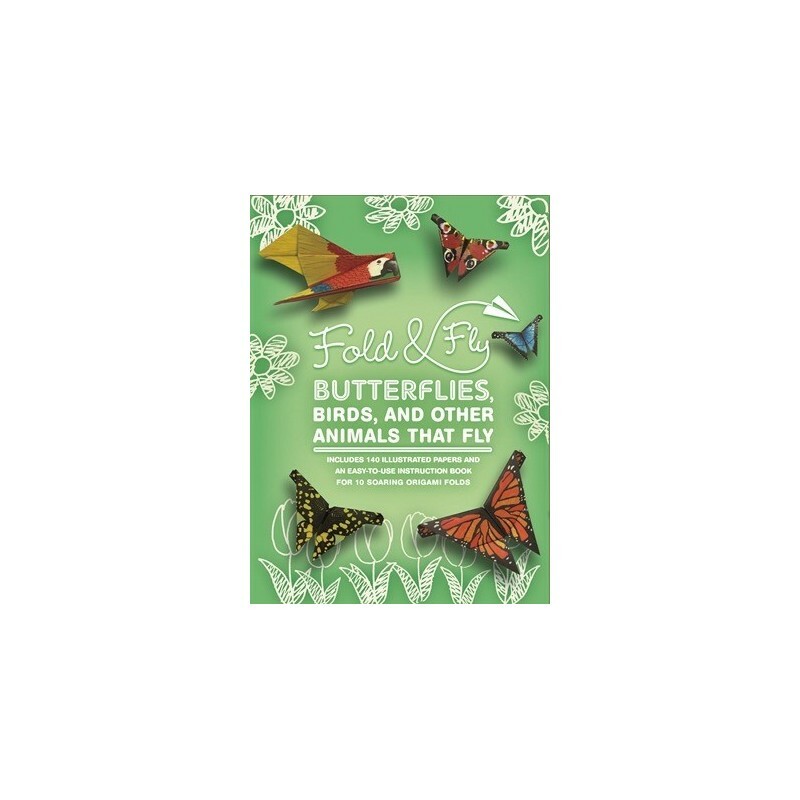 This boxed set includes a full-color book, 144 sheets of custom-printed paper and instructions for creating 20 magnificent masters of flight. From a prehistoric pterodactyl, to a dragonfly, a flying fish, and yes, even a stork, this set reaches new heights in paper art. Written by Mark Zagaeski. Paperback. Colour illustrations. 80 pages. 23cm x 17cm.